“On a trailing basis… the revenue for wearables is already 50 percent more than iPod was at its peak,” Apple CEO Tim Cook told CNBC in an interview with “Mad Money” host Jim Cramer. Cook used the examples of the Apple Watch and the AirPods wireless music headphones, noting that each product has generated at least four times more in sales than the iPod did at any point in its life cycle. Cook is likely using the iPod as a comparison due to the fact that the music player was regarded as an iconic, important product for Apple, one that likely set the Cupertino company on its current path, paving the way through other breakthrough products like the iPhone. “Now, this is a product [the iPod is] I think everybody would say it was an incredibly important product for Apple, full of innovation, and probably, the trigger for the company getting on a very different trajectory and into other markets,” explained Cook. 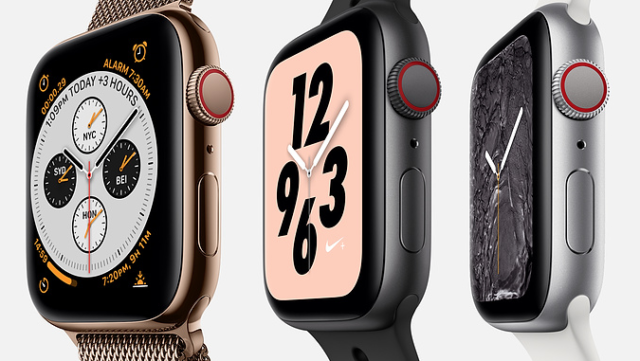 Apple has been using the Apple Watch as a platform to enter into the health care market, which will apparently be a major focus for Apple in the next twelve months. According to the report, Apple is also expected to launch a new model of AirPods at some point this year in order to capitalize on its massive success.